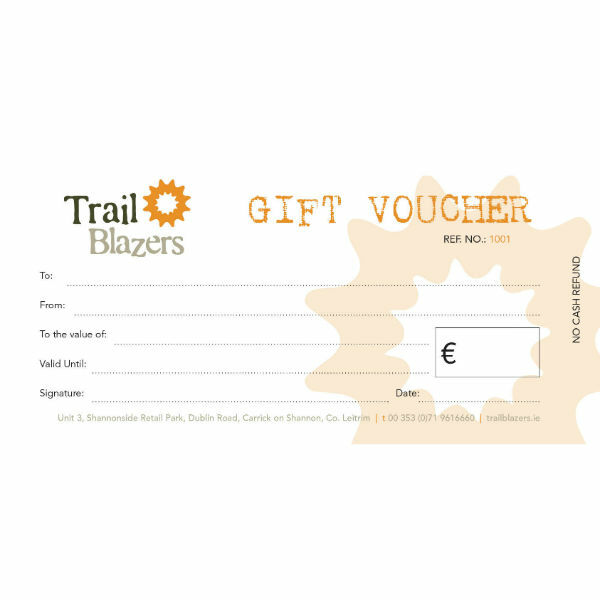 Trailblazers Gift Vouchers are the perfect gift for the outdoor and sports enthusiast in your life! Whether they’re into cycling, hiking, walking, running, triathlon, kayaking, surfing, camping, or pretty much anything else, we have you covered. Don’t forget about our kid’s water gear, bikes and accessories for your mini enthusiast! Order online or visit our store to purchase one. We have a fantastic range of brands including: Helly Hansen, Columbia, Berghaus, Sprayway, Animal, Weirdfish, Meindl, Salomon, Merrell, 1000 Mile, Brasher, Altura, Madisson, Cube, Specialized, Cannondale, LaPierre, Kellys, Kross, BBB, Dawes, Islander, Dagger, Palm, Vango, Lifeventure, Lifesystems, LED Lenser, Easy Camp, Outwell, Buff, Barts, Ronhill, Saucony, Mizuno, Craft, PowerBar, High-5, Torq, and so many more! 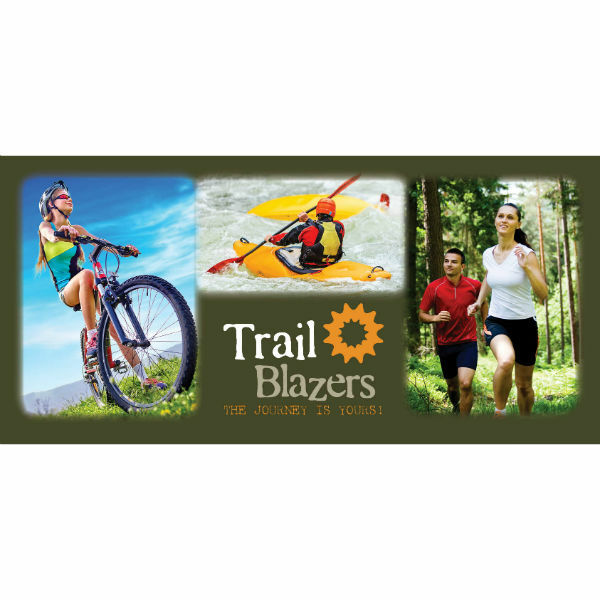 Trailblazers Outdoor Retail is a Cycling and Outdoor Specialist Store that is focused on getting people kitted out with the clothing, accessories and equipment that will best suits their needs and outdoor activities. We are a family business and we think that customer service is paramount in ensuring that our customers are happy with their shopping choices. We first opened our doors in November 2010, with the aim of supplying top quality products, in a relaxed open plan retail setting, backed by knowledgeable staff, committed to delivering a high standard of Customer care. As a family business, the “Customer Experience” is paramount to us as we continue to build and develop our business. Our expert staff are always on hand to deliver enthusiastic and passionate advice for each customer query. It is our intention to carry this ethos into our Ecommerce Website also, and we hope that our current and new online customers will appreciate and benefit from our customer care program. If the item is in stock, it will be dispatched on the next working day after ordering. Delivery takes 2-5 working days after dispatch to orders going anywhere in Ireland or Northen Ireland. In the unlikely event that an item you have ordered is out of stock, we will notify you immediately to inform you of any possible delays. Orders placed on a Friday or over the weekend, ship on a Monday. Delivery is FREE on all orders of €50 or more. Orders under a €50 value incur a delivery charge of €6 to any where in Ireland or Northern Ireland. If for any reason you are not satisfied with your purchase, please contact us by calling 071 9616660 or send an email to trailblazersleitrim@gmail.com, and we will provide you with further instructions on where returns should be shipped. If you decide that you simply no longer want the item(s) purchased, you can return them to us for an exchange or refund. All returns must reach us within 21 working days of receiving your order. This refund amount will exclude delivery charges. Items to be returned or exchanged must be in their original packaging and labelling must still be attached. Your statutory rights are not affected.